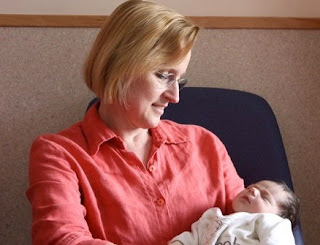 I became a grandmother just a few weeks ago, and I am absolutely delighted about this new identity! I chose a picture of me holding the brand-new baby, and I did a simple line drawing from it. I then screenprinted the drawing on fabric. 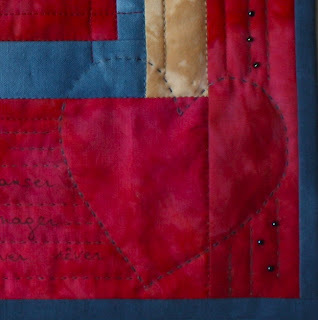 Of course, there had to be a heart somewhere on my quilt. Then, a list of things I would like to share some day with this little being (there was not enough space on the piece of fabric for the whole list...). I thought adding a few beads here and there was very appropriate for a little girl. 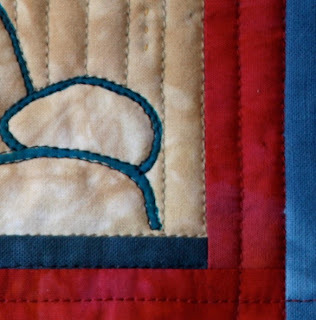 I chose almost the same colour scheme for this quilt as for my previous 12x12 quilt... Did you say "Identity"? 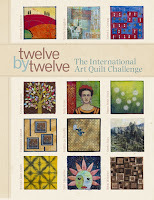 And don't forget to have a look at the Twelve by Twelve blog to see the other "Identity" quilts! Lovely lovely quilt. Your self-portrait is great! What a wonderful way to interpret the photo Francoise--the quilt is absolutely beautiful as is the little princess in the photo. I could tell that was your silhoutte even before I read your words. Wow! What a darling wee girl, you are so lucky. Enjoy! Beautiful quilt, beautiful baby and beautiful grandmother! Enjoy!!! It´s the most wonderful thing to be; a grandmother I think !!! Cela te va très très bien ! 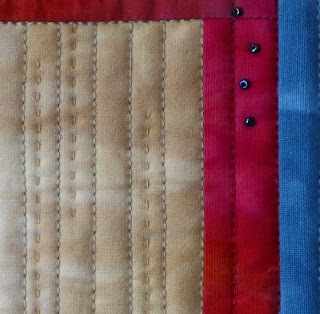 et voilà déjà un quilt en souvenir des premiers instants. 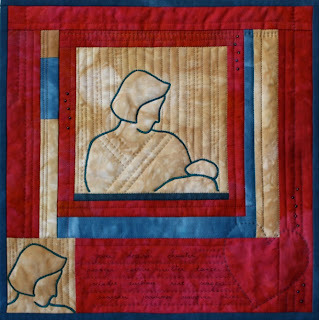 A beautiful combination of sweet baby, beautiful grandmother and quilt designed with "Love from the Heart". What a proud grandma and a beautiful baby. That quilt is the one I love most of all your work, there's a lot of love in it I think. This is very beautiful quilt. I love the heart at the right bottom. Feels warm..
beautiful Francoise! Love the way you've translated the photo into your quilt. It’s really beautiful Françoise! 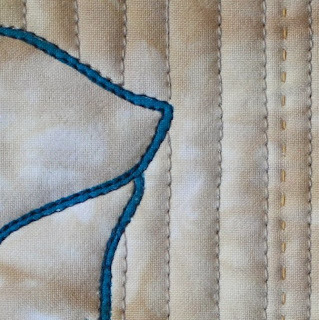 Lopve the quilted heart! Congratulations Francoise! Lovely idea that you can even pass on to your grandchild. Very lovely!